One of my all-time favourite musicians David Bridie is returning with a new solo record (his first in five years) titled 'Succumb'. 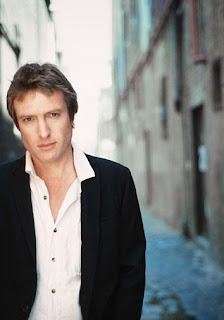 David is a founding member of the amazing Australian bands 'Not Drowning, Waving' and 'My Friend The Chocolate Cake'. He also does a lot of soundtrack work as well as being involved in a variety of good causes. He's got a new blog entry and it sounds like he hopes to keep updating it regularly which will be nice. Check out his MySpace page to take a listen to a new track titled 'So Many Lies', a sample of the rockier sound that dominates Succumb (four tracks also available to listen to on his website Audio Page). You can also download a track called 'The Healing' that didn't quite make the album here. The new cd is due out on in mid July and he has two gigs coming up in the next few days in Melbourne and Sydney. I got into 'Not Drowning, Waving' back in 1993 when I won a trip to Australia at an advance screening of the great Australian film 'Proof' about a blind photographer that starred a young Russell Crowe and Hugo Weaving. I picked up the soundtrack to the film while I was in Sydney and had an amazing month long trip 'Down Under'. After that I started to pick up their entire catalogue as well as all the MFTCC releases as then David's solo releases. I was lucky enough to meet David when he was in Toronto promoting his solo release 'Act Of Free Choice', before a fantastic gig at the legendary Horseshoe Tavern. I look forward to ordering 'Succumb' and adding it to my collection. Some thoughts on the new Coldplay cd after a few listens: I prefer the acoustic version of 'Lost' to the final cd version, not a fan of the handclaps, but I prefer the final mix of "Lovers In Japan" to the acoustic version. Would liked to have seen "Life In Technicolour" been fleshed out into a longer song. 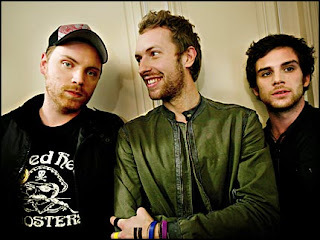 The title track "Viva la Vida" is probably the strongest track on the cd, but I enjoy "Yes" and "The Escapist" as well. Nice to see choreographer Mia Michaels continue to showcase the music of Imogen Heap on the show "So You Think You Can Dance". This past week during the final auditions in Las Vegas Mia used the b-side track 'Mic Check' for her contemporary dance routine. Enjoying the new Royworld cd 'Man In The Machine', definitely worth checking out. Their MySpace site. I've read bits about Gotye here and there and just found a great remix of his single 'Heart's A Mess' over at Good Weather For Airstrikes. I'm not usually a fan of dance remixes but the Ocelot remix is great, and make sure you check the comments to get Diane's link to the DLake remix of the song which is very good also. The original single mix is pretty good too. Been reading a bit on Brenden James who just recently released his Mikal Blue produced debut cd titled "The Day Is Brave". The album overall is good (there are a few weak tracks), but definitely worth checking out if your into the singer/songwriter stuff. He'll be playing shows with the likes of Landon Pigg, Ari Hest and Jason Reeves over the coming months with dates across the U.S., check out his site to listen to some of the album's songs. Swe Pop has the new Ola single "Feelgood" up for download, get it while you can. 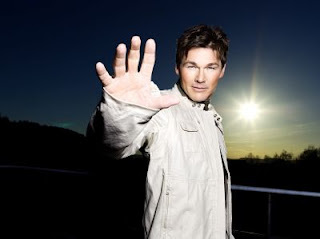 Morten Harket, the lead singer of a-ha has just released his second english solo album (follow up to 1995's 'Wild Seed') titled 'Letter From Egypt' and it is a solid record that should appeal to all a-ha fans. Up for download for a week is the new single from that album titled 'Darkside'. Click here to see a live television appearance of the single.